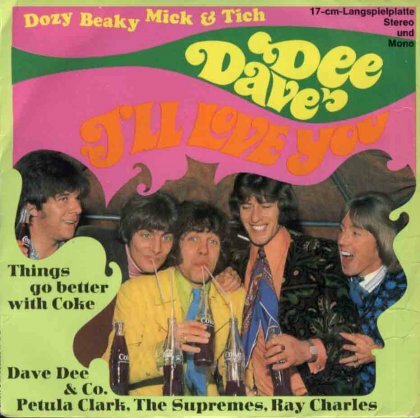 Nobody remembers their real names, but Dave Dee, Dozy, Beaky, Mick and Tich were on every pop fan’s lips in the 1960s. They scored a big number one – with The Legend of Xanadu – and between 1965 and 1969 spent more weeks on the UK singles chart than The Beatles, clocking up eight top ten singles in the UK. But a live performance in Swindon in 1964 proved a turning point – and there is a spooky fluke of fate that also links frontman Dave Dee with a great rock ‘n’ roll tragedy. Not even Dave Dee performed under his real name, having been born David Harman. Like the rest of the band, he was from Salisbury, and when they were founded in 1961, they called themselves Dave Dee and the Bostons. 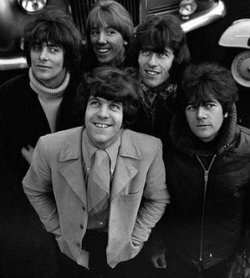 At the time, they were all part-time musicians, with Dave Harman (Dave Dee) earning a living as a policeman in Swindon. 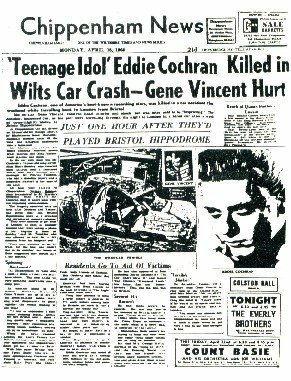 In April 1960, he was a police cadet when, amazingly, he attended the scene of the car accident at Chippenham involving American rock ‘n’ roll superstar Eddie Cochran, then aged 21. Cochran was taken to St Martin’s Hospital, Bath, where he died, 16 hours later. Fellow passenger Gene Vincent, himself a big star, suffered serious injuries but survived (he died from a ruptured stomach ulcer in 1971). Dave retrieved Cochran’s undamaged guitar from the wreckage and, according to some sources, took it home for safekeeping, before it was returned to Cochran’s family, although it’s much more likely that it remained impounded at the police station. Stories that he “taught himself to play guitar on it” are also fanciful as Dave himself admitted only that he had “had a good strum on it”. There is another bizarre coincidence associated with the guitar – a Gretsch – which is now in the Rock ‘n’ Roll Hall of Fame in Cleveland, Ohio. Earlier in the UK tour that ended so tragically at Chippenham, Cochran had allowed a 13-year-old boy called Marc Feld to carry the guitar from the Hackney Empire to his limousine after a concert. Marc Feld later adopted the stage name Marc Bolan, who would enjoy huge success as the lead singer of T Rex but would also meet an early death - in a road accident. Though Dave Dee and the rest of his band gave up their day jobs in the early Sixties, they seemed destined for pop anonymity by 1964. Like The Beatles, they had learned their craft playing dodgy night clubs in Germany, but they were having to work the summer season at Butlin’s in Clacton in 1964, and were yet to be offered a recording contract. All that changed on a Thursday night during that summer of 1964, when the band – still called Dave Dee and the Bostons - had a ‘night off’ from the holiday camp to play at the Locarno in Swindon. Dave recalled: “We used to get Thursday night off, and the only way we could make money was to moonlight. 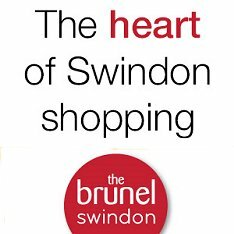 We had a gig offered to us in Swindon, supporting The Honeycombs. 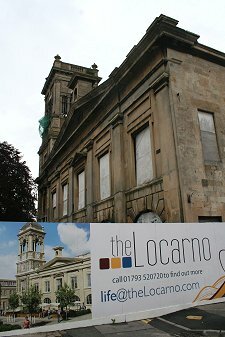 The Locarno was in Market Square, Old Town. Built in 1865 as the Corn Exchange, an extension to the existing Town Hall, by 1880 it had been converted into a kind of entertainment venue/exhibition hall. Between 1909 and 1919 it was a roller skating rink, then a cinema until 1949, when it became a dance hall. During the Sixties it was on the tour circuit for many of Britain’s top pop stars, and acts who performed there include The Who, The Animals, The Small Faces, Lulu and, ironically, Gene Vincent. The Honeycombs managers who had spotted the band’s potential that night at the Locarno were Alan Blaikley and Ken Howard, who were already firmly established as songwriters, and would go on to write Elvis Presley’s 1971 hit, I’ve Lost You. They took Dave and the band under their wings and re-named them, using real-life nicknames that would keep DJs across the world on their toes, as they struggled to remember the correct order. As Dave Dee, Dozy, Beaky, Mick and Tich, Dave and the band enjoyed national stardom which peaked when they topped the UK singles chart in 1968 with The Legend of Xanadu – a year when they would also return to play at The Locarno. The Legend of Xanadu was one of the few hit records to include the sound of a whip, famously wielded by Dave on Top of the Pops – and proved to be the peak for Dave Dee, Dozy, Beaky, Mick and Tich, whose decline was rapid. They only had one more top ten hit before Dave left in 1969 to pursue a solo career, but he never charted higher than number 42. He went on to set up a successful charity promoting music therapy, then ran a guest house, and in a kind of echo of his days of laying down the law in Swindon, in later life became a magistrate. Sadly, he died on January 9, 2009, aged 67, after a three-year battle with cancer.